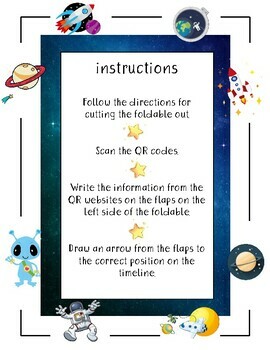 This interactive notebook page is created with QR codes. 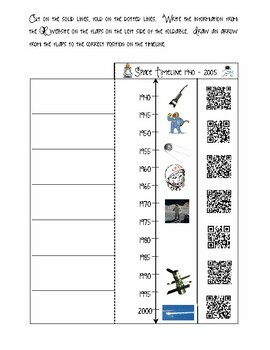 The QR codes and the timeline information are completely editable. 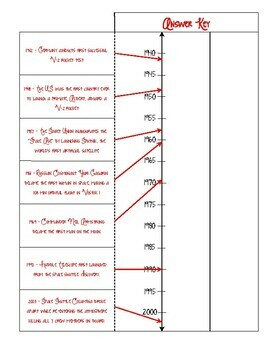 The history of space exploration information covers events beginning with the 1942 Russian made V-2 rocket to the 2003 Space Shuttle Columbia disaster.